Suit quality was not great. Material was fine. But, craftsmanship was not. 42 jacket wore like a 44 and wasn’t built properly. Response from Charles Tyrwhitt: With a suit being a very personal garment, the fit can be tricky to nail down - especially when ordering remotely. It's certainly a shame that neither the Slim or Classic Fit suits appear to be an ideal fit for you. We do have a store in New Jersey as well as several in New York, so we would welcome you to pop in and see us some time. Our wonderful colleagues there will gladly help fit you for your perfect suit and I hope we do see you soon! Stride is a little short and had to be altered. Perfect fit with the business suit jacket of same color, weight and quality. Response from Charles Tyrwhitt: Ir's certainly a shame that the fit of your new suit wasn't quite to your liking. 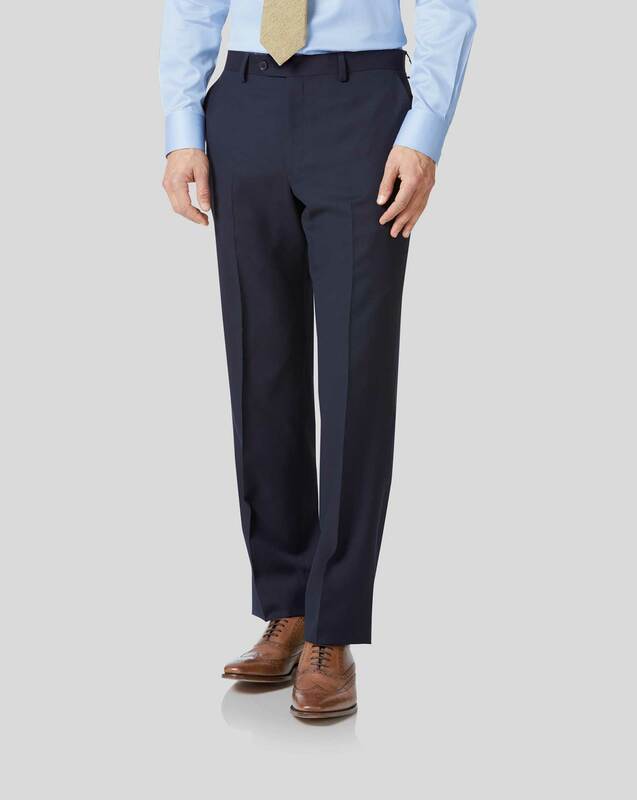 Our Classic Fit suit trousers are designed for the fuller figure, so should give plenty of room in the rise/thigh area. It may be best to go up a waist size to ensure the fit is perfect, however. Please feel free to return the suit to us for an exchange, which we will be more than happy to process for you.